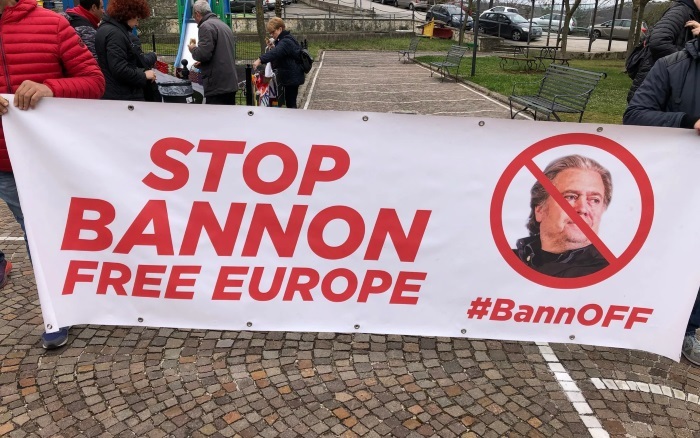 Around 200 protesters marched to the Italian village of Collepardo this weekend to protest Steve Bannon’s takeover of a monastery where he plans to train the next generation of nationalist leaders. Mr Bannon, who is credited with masterminding Donald Trump’s electoral success, has rented the 800-year-old Carthusian monastery as a training centre for his political network, The Movement, which aims to forge a pan-European rightist movement ahead of May’s European elections. The deal for the lease was struck at a concession with the Italian government.